After the Modolo Yuma, designed to increase comfort for trekking riders, came Dumbo. 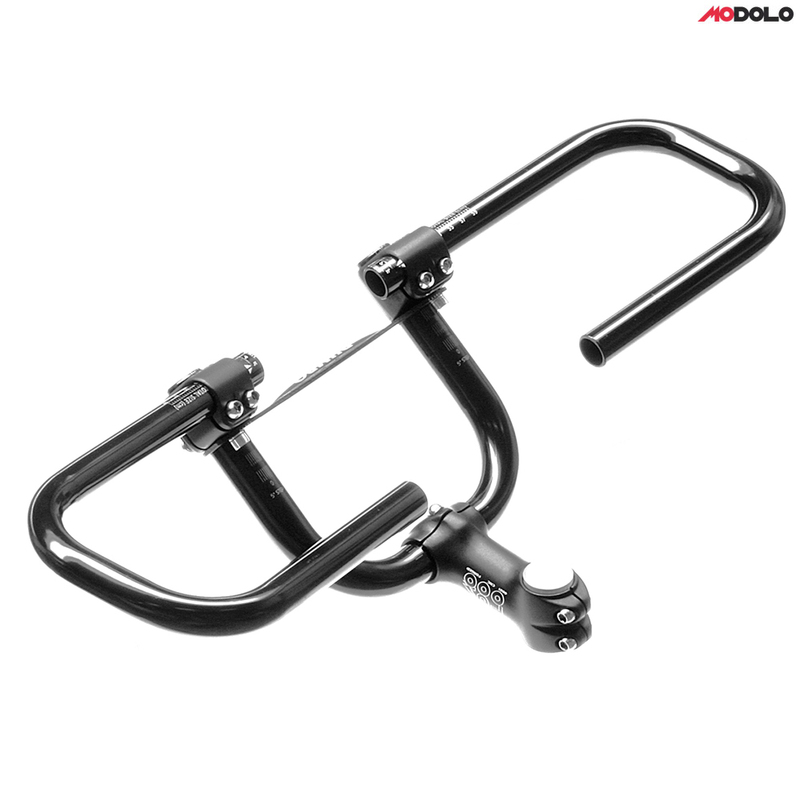 . . With Dumbo, you can adjust the handlebar geometry when and how you wish, obtaining the best possible riding position. Simple in adjustment, strong in its forged blockings, lightweight, Dumbo can become a real "dashboard", allowing the mounting of bags, computers, mirrors, lights, bells, etc. Can the Dumbo or Yuma be sued with Ortlieb handlebar bags? Yes you could use these with a variety of handlebar bags. This is indeed the newer version of the bars.